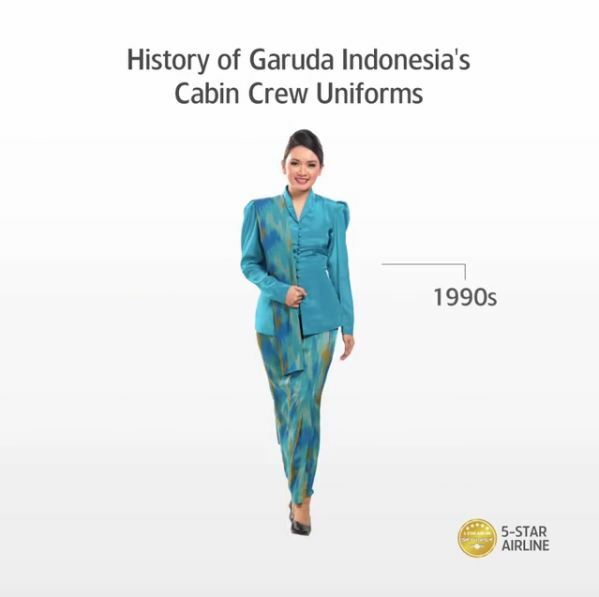 Garuda Indonesia is the first and biggest airline in Indonesia. It was founded during the era of President Soekarno who wanted to buy some planes to fight Netherland for the country’s independence. The intention gained positive responses from traders who also gave donation to buy the planes. Finally, Indonesia bought Dakota (DC-3) plane and in 1949, it became a commercial transportation with Yogyakarta-Jakarta as its first route. 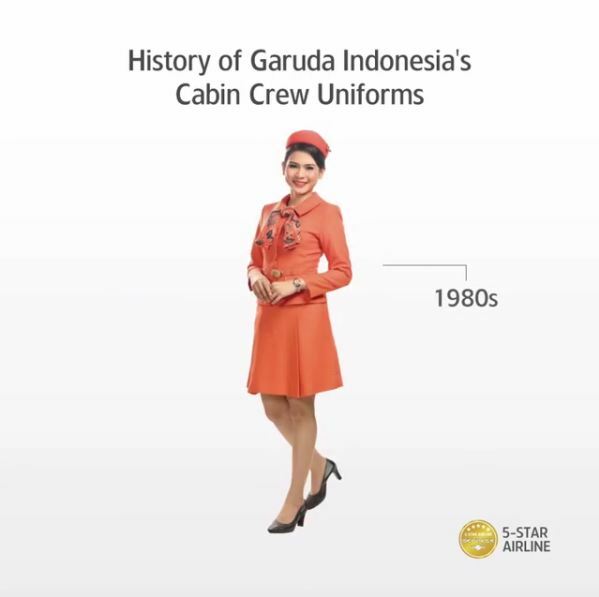 Since 1949 until present, Garuda Indonesia becomes Indonesia’s pride. Every year they try toimprove to give the best service. Not only from technology, transformation also occurred on their fashion style. It can be seen from their flight attendants’ uniform. 1. 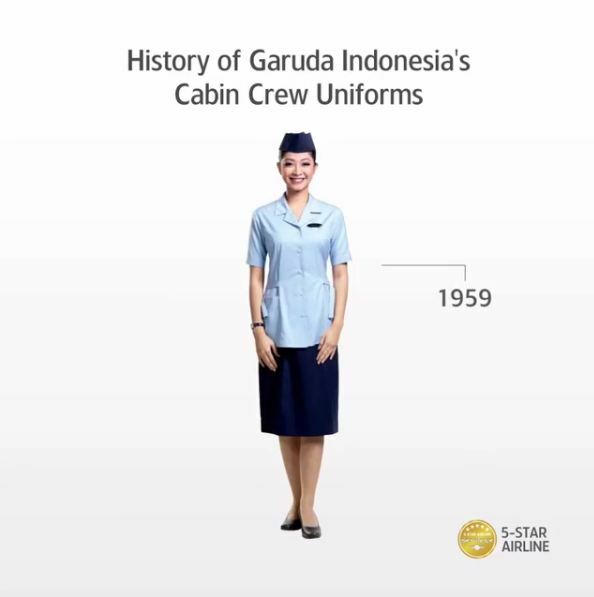 In 1949, Garuda Indonesia’s flight attendants’ uniforms were white and brown. 2. In 1959, blue became the theme of their uniform. 3. In 1970, the color of yellow and orange in their uniform made them looked cheerful. 4. In 1980, they looked more elegant with tie ribbon and long sleeves. 5. 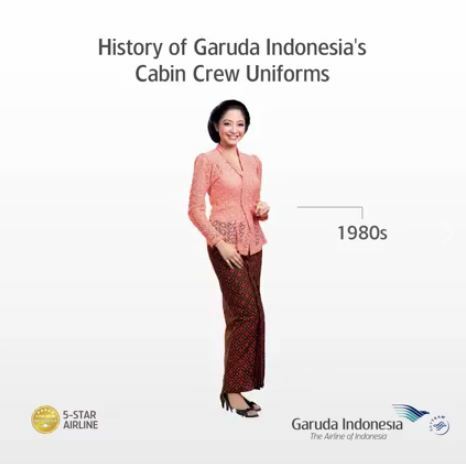 Still in 1980, they started wearing kebaya. 6. In 1985, the color of the uniforms is softer. 7. Starting from 1990, flight attendants started wearing long suits. 8. 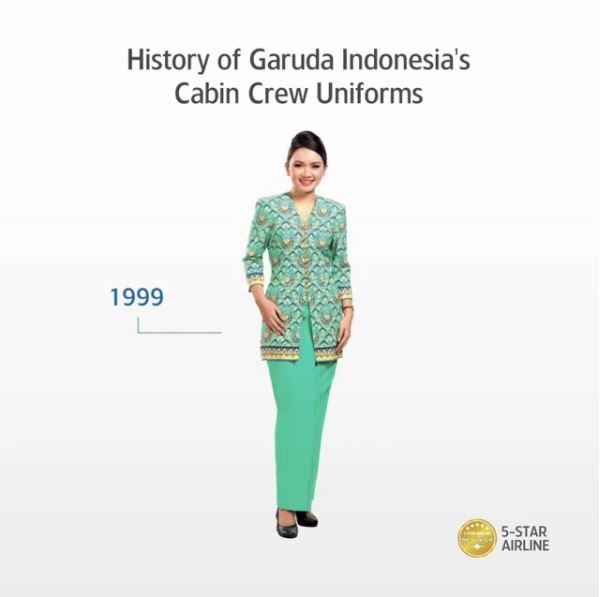 Around 1990’s, the uniform looks similar compared to the ones they had in 1985, but it was more fashionable. 9. Uniforms in 1999 were darker. 10. 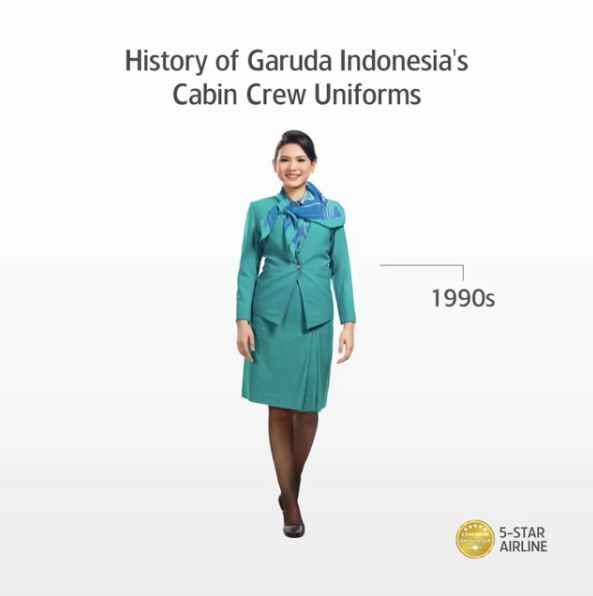 In 1999, they also had tosca uniforms. 11. In 1999, the upper suit had some patterns while the lower part was plain. 12. 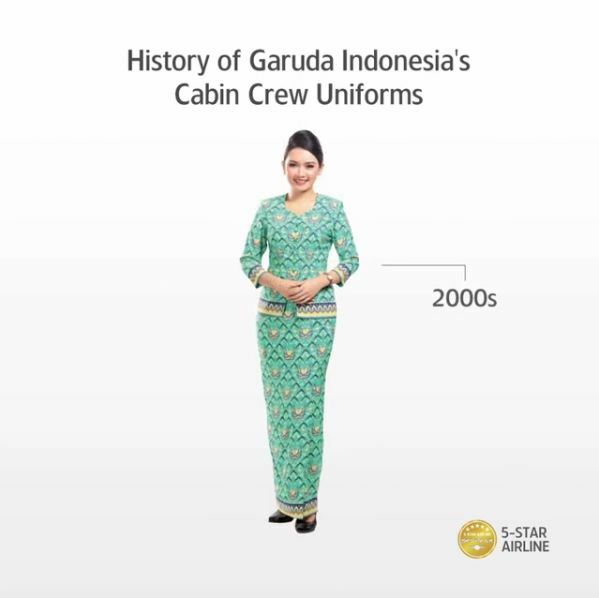 Starting from 2000, the uniform is full of pattern. 13. In around 2000’s, the flight attendants wore long pants. 14. 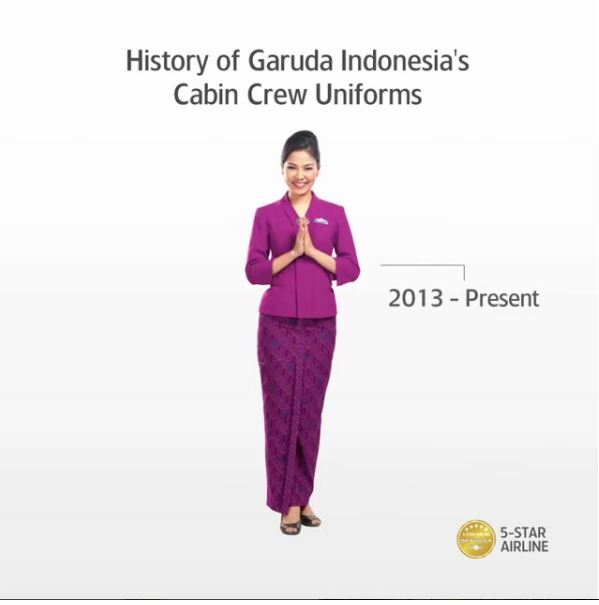 Starting from 2010 until now, you might see this uniform. 17. In 2013, they added this purple uniform. 18. There is also special uniform for crew explore & explore jet.